The Xiaomi Black Shark Helo comes with 6/8/10 GB of RAM and 128/256 GB of internal memory which cannot be expanded via microSD. 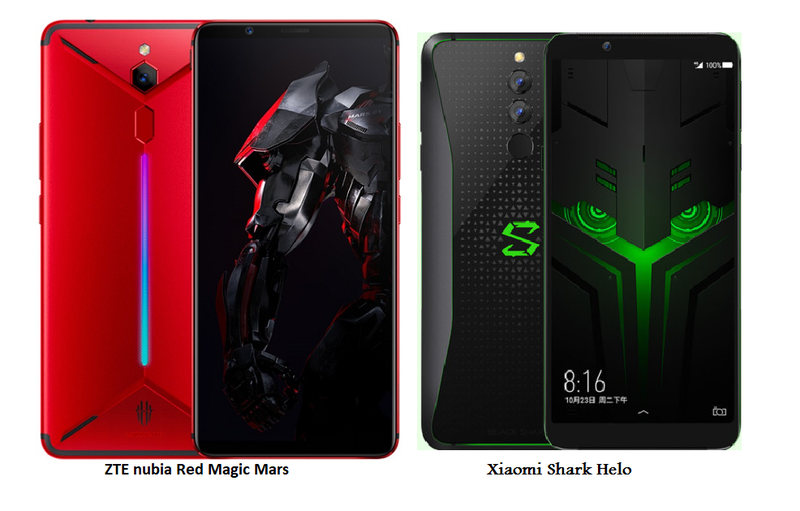 The Xiaomi Black Shark Helo boasts of the 12/20-megapixels dual rear camera and 20-megapixel front camera for selfies and video calling. The ZTE nubia Red Magic Mars comes with 6/8/10 GB of RAM and 64/128/256 GB of internal memory which cannot be expanded via microSD. The ZTE nubia Red Magic Mars boasts of the 16-megapixels rear camera and 8-megapixels front camera for selfies and video calling.